SOLD! Sun soaked end unit townhome. Immaculately cared for. Spacious with 2 stories and a finished walkout basement. Outstanding location. The community is adjacent to the Bear Creek path and greenbelt. Many upgrades. Huge, vaulted master bedroom. Brand new furnace. Two pools, hot tub, tennis & clubhouse. So much more. 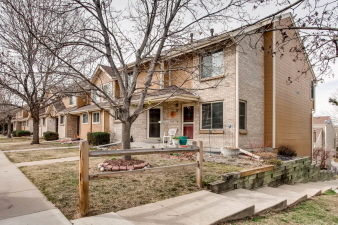 A great townhome in a fantastic location!